30 Best Games of 2016 | Nerd Much? **Update 9-12: Another disappointing delay for The Last Guardian. 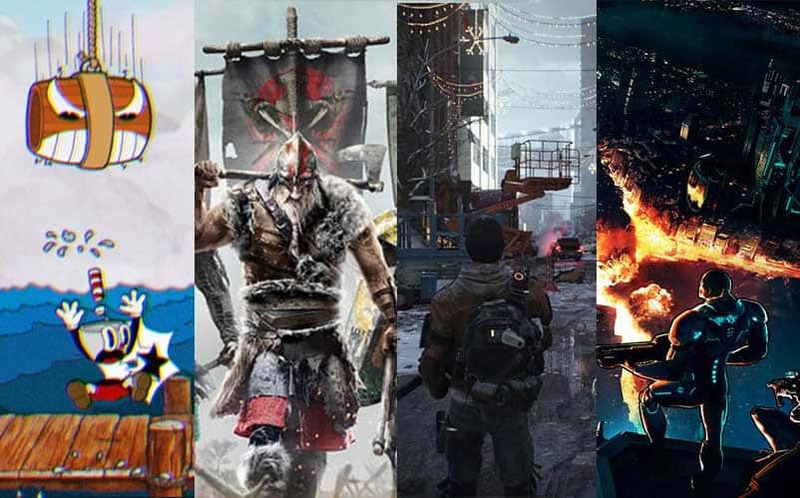 We’re halfway through 2015, and now that the 2015 video game release schedule has been fleshed out, we’re now starting to get a look at the upcoming games of 2016. E3 2015 brought a ton of new game announcements for games we’re expecting to see in 2016 for the Xbox One, PS4 and PC. Both Sony and Microsoft have some fantastic-looking games on the horizon for next year. 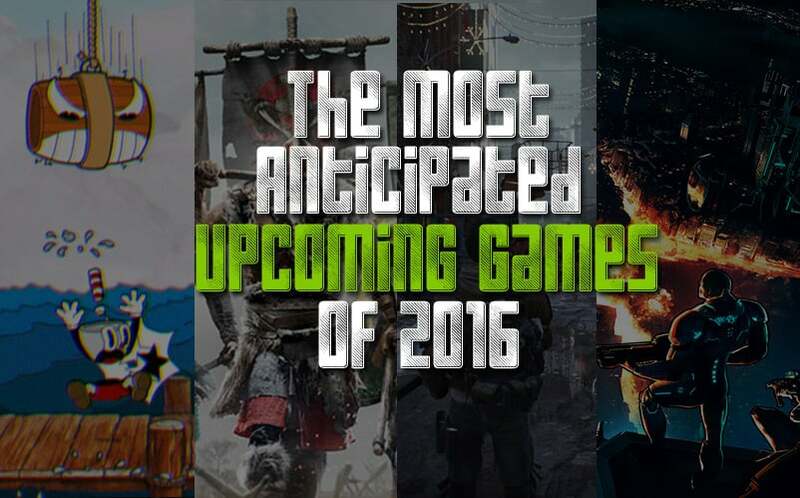 The good news is that there is a wide range of game genres coming in 2016, as well as 2017. The bad news is that we have to wait until next year to play these highly anticipated upcoming games. Bummer. Of course, this list is subject to change, given the volatile video game development environment. With the many upcoming MMOs in development (many of which don’t have a firm release window), and, we don’t know what’s coming as far as Nintendo NX games are concerned, so we don’t have anything included (although we can probably guess a few titles that will definitely come). Titanfall‘s first outing was a middling affair on all fronts, but at its core, it was a fun enough game with some interesting ideas. We played it for a few weeks, and then set it down, never to touch it again. But, Titanfall 2 feels like something else entirely, feeling more substantial than its predecessor in just about every way. The upcoming October game will add a single player campaign, which will serve as a precursor for the new elements being added into the game. From the footage we’ve seen already, Titanfall 2 is going to be much better-received than the first one. Pre-Order Titanfall 2 here and receive the Nitro Pack and Deluxe Edition Content. It’s no secret that we all love Batman games, as he’s one of the most universally loved comic book characters of all-time (alongside Superman and Spider-Man). But in the sea of action-oriented Batman games, Telltale will release a more story-oriented game, similar to their numerous other titles. Excluding the Back to the Future game, Telltale has released great game after great game based on some of our favorite nerdy franchises, and by the looks of things, the Telltale Batman game is going to be one for the ages as well. See more new PS4 games of August 2016 here. Like many, we were disappointed with the news that Uncharted 4: A Thief’s End wouldn’t see the light of 2015. The upcoming action-adventure game will take place three years after Uncharted 3, with a retired Nathan Drake being needed by his older brother, Sam. The duo chase the conspiracy behind a long lost pirate colony and the treasure contained within. You can read more about the Uncharted 4 Collector’s Edition. Pokemon Sun and Moon is undeniably the biggest upcoming Nintendo 3DS game in 2016, and since there’s nothing coming for the Wii U, it’s the biggest Nintendo game coming in 2016. We’ve already seen some of the new Pokemon from the upcoming game, and mostly, we’re impressed. With Pokemon Go virtually taking over the entire world, it’s likely that more people are going to be playing Sun/Moon come November. The starter Pokemon will be Rowlet (grass and flying type), Popplio (water type), and Litten (fire type). We’re looking forward to seeing what other Pokemon we’ll find out in the wild in Pokemon Sun/Moon. We realize this is just an expansion to the popular game, but ignoring World of Warcraft: Legion would be a grave mistake, especially given how much we love MMORPGs. There are a lot of changes coming with Legion, including a new class (Demon Hunter), an increase in level cap to 110, artifact weapons for each classes’ specializations, and a new area on Azeroth called the Broken Isles. Instead of garrisons, players will spend much of their time in Order halls, a place of great power linked closely to a character’s class, where only fellow class members can come together. There’s also a big change coming to existing classes, as well as a new transmogrify system. It’s quite a substantial update, and hopefully it brings more players back to WoW. (We’re on Whisperwind, for the record). Dying Light must’ve had Dead Island 2 shaking in its boots, since shortly after the former released, the latter was delayed into 2016. Still, the original Dead Island was a solid idea that just wasn’t fully fleshed out. Dead Island 2 will hopefully be the fleshed out version. Dead Island didn’t make the cut as one of our best zombie games of all-time, but it’s still good, and a sequel will probably be great. Pre-order ‘Dead Island 2’ here. Although we’re all more than a little sour on the first Watch Dogs, it looks like its successor is a much more substantial offering. The game will take place in San Francisco this time around, consisting of six different areas within the city. Marcus will have the ability to parkour around as well. There are numerous other changes coming, including an emphasis on using different methods to apprach each mission. Hopefully, the marketing lives up to the game’s final product when it releases in November. It’s official: The Last Guardian is still on the way, and is expected to be released at some point in 2016. Hopefully, this game will live up to all of the hype. Gameplay was debuted at E3 2015, and aside from the little boy’s annoying call to his friendly beast, it was awe-inspiring. Preorder The Last Guardian here. For those who don’t already know, I’m an unabashed Call of Duty fan and defender of its honor. I scoff at those who say Call of Duty is the same game every year, and that’s undeniably untrue with this year’s Call of Duty: Infinite Warfare. Has the franchise made some mistakes along the way? Sure, but what longstanding video game franchise hasn’t done the same? The popular first-person shooter — the MOST popular FPS on consoles — changes the game in 2016 by going heavy on the sci-fi elements, setting it in outer space with new gameplay mechanics including zero-gravity environments, a grappling hook, and a boost pack. Judging from the first bits of multiplayer footage we’ve already seen, it looks as though Infinite Warfare will also pick up the pace quite a bit, providing a faster, more frenetic multiplayer gameplay system. Zombies will also make its return, and it will also have a unique setting. What’s more, those who buy the Legacy Edition will also get a remastered version of Call of Duty 4. Count. Us. All. In. Pre-order Call of Duty: Infinite Warfare here. Release Date: Pushed into 2017. Bummer. For Honor was also revealed at E3 2015, and it’s safe to say that it pretty much stole the show. Not one single person thought Ubisoft would bring anything new to their show, but For Honor looks like nothing else we’ve played before. There are three factions (Knights, Samurais and Vikings) facing off against each other in 4 v 4 battles, with both teams in a match also facing their enemy’s army. They had us at samurais. 13. Ghost Recon Wildlands Pushed into 2017. Tom Clancy’s Ghost Recon Wildlands is an upcoming tactical shooter that will be the tenth installment in the Ghost Recon franchise. It will feature an open world environment, and looks to draw influences from Just Cause 3 and Grand Theft Auto 5. The game will be set in modern times this time, and the open world will feature a variety of environments (indicating that the map is likely huge). Pre-order ‘Ghost Recon: Wildlands here. Unravel is an interesting upcoming puzzle-platformer from Coldwood Interactive and EA. The game revolves around the unoriginally named protagonist, Yarny, a small creature made of red yarn who explores the world around him using his own body. The game will see Yarny unraveling himself to create lines to solve puzzles and progress in the game. We’re expecting Yarny’s story to unravel (see what we did there) in Q4 2016. It’s a unique concept, which is unusual for EA, which is why we’ve included Unravel in our list of the most anticipated upcoming games of 2016. As Gamestop amply stated, E3 2015 saw the rise of the female hero. Horizon: Zero Dawn is another highly anticipated upcoming game with a female protagonist, and it looks absolutely incredible. Think caveman times set in the distant future where man has been taken over by machine. It’s all set in an open world, which appears to be beautifully designed. We can’t wait to see more from Horizon: Zero Dawn. The next Deus Ex game is Deus Ex: Mankind Divided, which will be set in 2029, two years after Human Revolution. It’ll bring back Adam Jensen with new technology and body augmentations. We don’t have many other details for the game than that, but we’re hoping to see some multiplayer added in, and we’ll likely hear more about the game during the Paris Games Week in October. Preorder Deus Ex: Mankind Divided here. Kingdom Hearts 3 looked better than we expected it to when it was recently shown at E3. And, the series is coming to Xbox One, too. We’re excited to see what new Disney worlds we’ll see in Kingdom Hearts 3, given the plethora of properties that Disney owns. Where will Sora go next? Pre-order Kingdom Hearts 3 here. Firaxis and 2K Games have just officially announced the existence of Sid Meier’s Civilization VI with the debut Civilization 6 trailer. After watching the trailer, our hype level for the upcoming PC game is high, and we can’t wait to play the game when it releases later this year. Microsoft’s next Gears of War will be Gears 4, and the trailer we were blessed with at E3 looks ridiculously good. We wouldn’t have thought that we would have wanted a new Gears of War (I mean, how different can it actually be this time around? ), but the reveal was done so perfectly that we just have to include it in our list of the most anticipated upcoming games of 2016. Pre-order Gears of War 4 here. While it’s still possible we’ll see another Quantum Break delay, the game is slated for some time in 2016 exclusively for the Xbox One. We’ve seen an impressive amount of gameplay already, so you’d have to imagine that the release date will be earlier in 2016. Who knows. But the game comes from Remedy Entertainment (Alan Wake, Max Payne), and there games have been pretty snazzy, right? Quantum Break will involve the power of time manipulation and will have a digital TV series release along with it. We just learned the official Quantum Break release date is set for April, and it comes with Alan Wake, its DLC, and the PC version. One of the best portions of Ubisoft’s E3 2016 conference was with Matt Stone and Trey Parker sitting on a couch showing South Park: The Fractured But Whole, the follow-up to The Stick of Truth (which comes free with the purchase of the new game). It’ll take players on an all-new outrageous superhero-themed adventure, allowing you to create your own costume, craft your own origin story, and build your own unique superpowers as you progress. From what we saw at this year’s E3, the game is going to be one hilarious game. Pre-order the Fractured But Whole here. EA announced Battlefield 5, which we now know is actually called Battlefield 1, last week, and it quickly became one of our most anticipated games of 2016. The game will be set in WW1, with players partaking in what appears to be a much grittier game than what EA has previously released. DICE has confirmed numerous vehicles for the upcoming game, including bomber planes, various tanks, ships, and even horses that you can ride. We can’t wait to see how formidable the game turns out to be later this year. 23. Crackdown Pushed into 2017. Even though the open-world mayhem gameplay can be found in numerous other games like it (Saints Row IV, Just Cause, etc) , we’re still hotly anticipating Crackdown for the Xbox One. We have a feeling the game is going to be incredibly fun and over-the-top ridiculous, and we can’t wait to find every damn orb in the game again. Don’t tell us that we can’t be anticipating Overwatch and Battleborn at the same time — we can, and we will. In fact, we’re actually looking forward to Blizzard’s arena shooter even more than 2K Games’s. From what we’ve played so far (a very limited amount, admittedly), it’s going to be one of the biggest contenders for Game of the Year next year, thanks to its heavy MOBA influences with unique characters and combat. Save 20% on pre-order and newly released video games with Amazon Prime. There’s no denying that the original Dishonored was a great game, and now four years later, we’re finally getting the sequel. In Dishonored 2, players will have the option to play as either Kaldwin or Corvo Attano, with both characters fully voiced. The game will be set fifteen years after the Dunwall Plague, and it will utilize Bethesda’s new Void engine. We don’t have many gameplay details just yet, but we’re still on a high from the first game, and still talking about it four years later. So, we’re fully expecting Dishonored 2 to be an incredible adventure. There’s a lot of multiplayer arena shooters on the way (including two that we mentioned in this very list), but one that is making itself stand out from the rest is Cliff Blezsinski’s Lawbreakers. It takes a more mature tone than the rest, with more blood and more mature themes. In fact, it’s so different, that we were able to write up an entire post on what makes Lawbreakers different than other arena shooters. You can watch the Lawbreakers gameplay trailer here, and be sure to stay tuned to Nerd Much for more coverage. Road trip! The highly anticipated Final Fantasy XV will take us all on a road trip, bringing driveable (and apparently flyable) cars into the FF world. The game will have a dynamic weather system that will effect the entire game world, with added effects like rain soaking your clothing and changing its look. The game looks wildly different than any FF before it, and we’re looking forward to the action-based combat and beautiful visuals, as well as the unique-looking bosses we’re going to face when the game releases in September. With Street Fighter V not living up to its full potential yet, we’re awaiting more fighting games to play on our consoles. Tekken 7 will be coming to the PS4 at some point in 2016 (and it was also recently rumored for PC). The game runs on Unreal Engine 4, so you know it looks absolutely stunning. But more importantly, there are two new mechanisms introduced into the game, including what’s called Rage Art (which allows players to execute several unblockable moves for nearly 30% damage), and Power Crush (which allows players to combine their attacks even if they’re being hit by the enemy). The game has a roster of 29 playable fighters, one of which includes Street Fighter‘s Akuma. Mafia 2 was one of the most underrated games of the last generation, which is part of the reason we’re so excited for Mafia 3. The game is set in 1968, and it will revolve around Lincoln Clay, a Vietnam veteran who returns home to rejoin the Black Mob. After his organization is wiped out, he starts his own criminal outfit to get revenge. He’ll be added by three allies, Cassandra, Burke, and Vito Scaletta. The Mafia 3 trailers we’ve seen so far all look great, and we have a feeling the story is going to be top-notch. And besides, it’s not like we’re getting a GTA 6 this year.